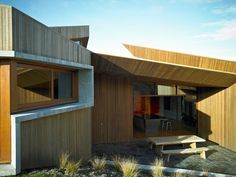 And here's a view southwest over the lake, which clearly shows the way the architects designed the home's cedar skin to wrap the walls and the roof. 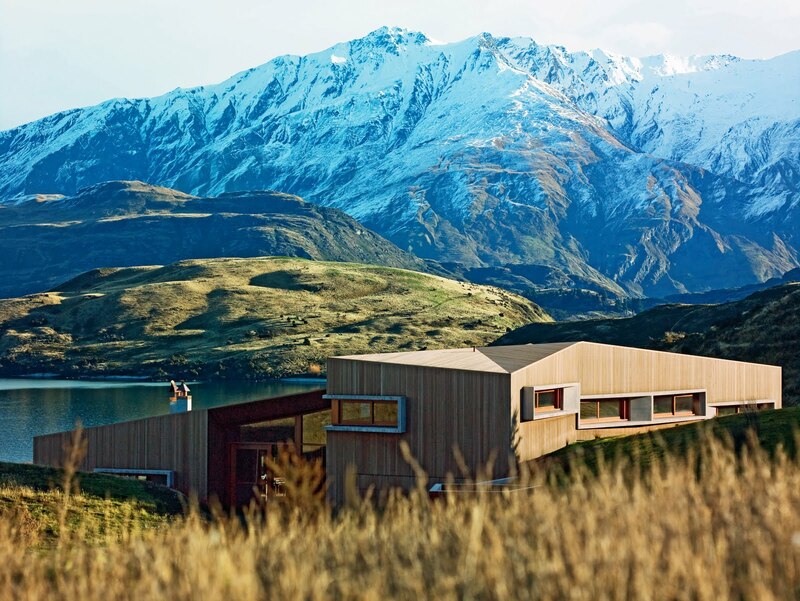 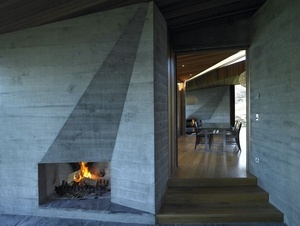 Te Kaitaka Lake Wanaka Retreat by Stevens Lawson Architects. 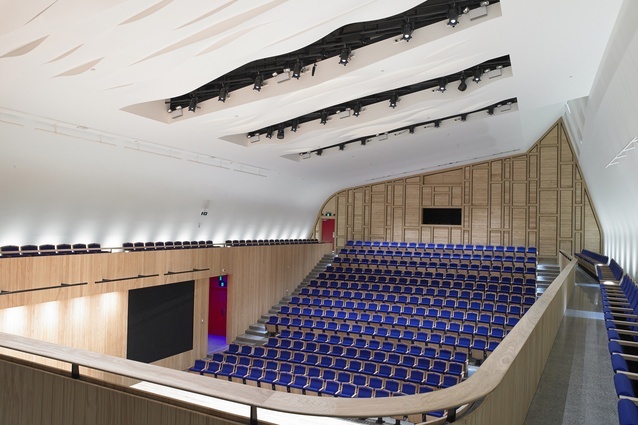 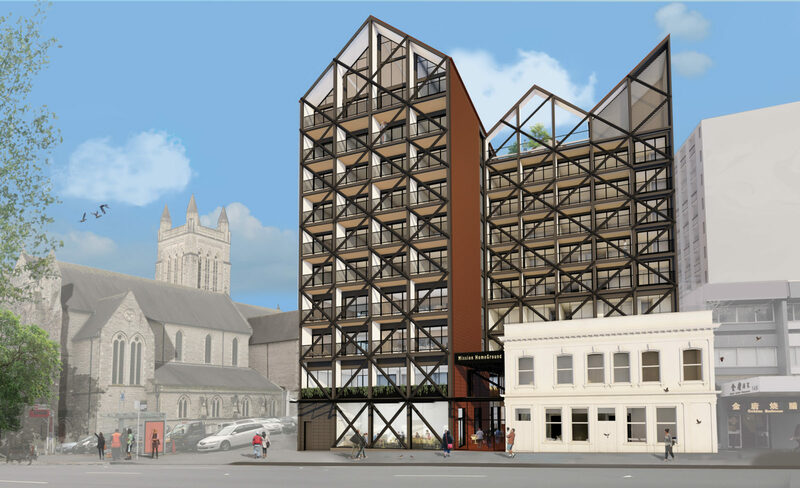 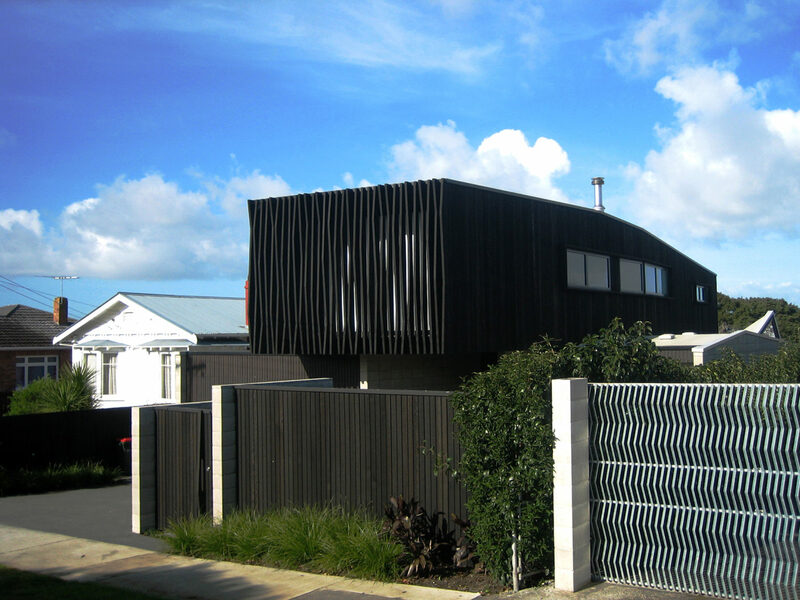 Housing Award: Fe3O4 by Crosson Architects. 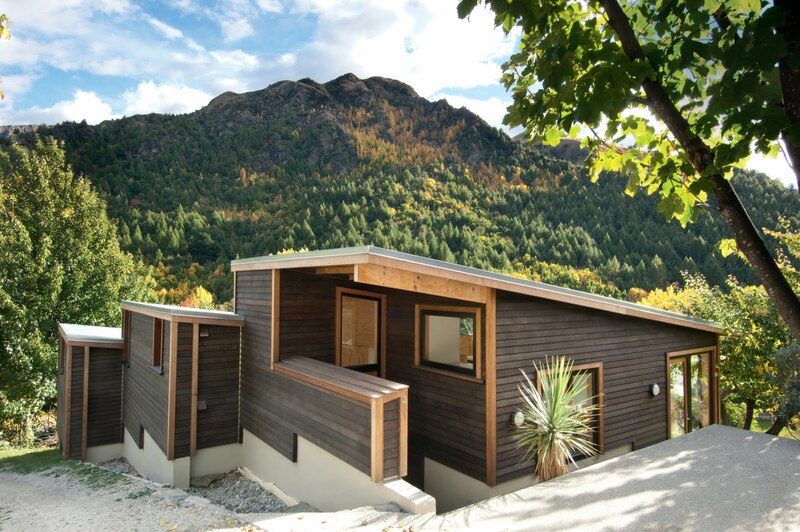 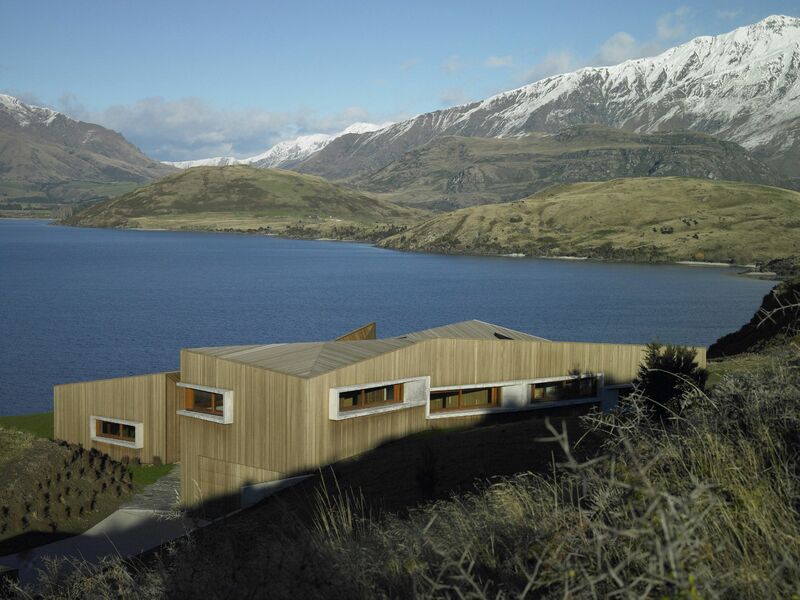 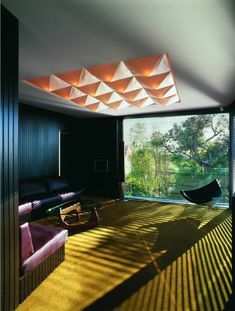 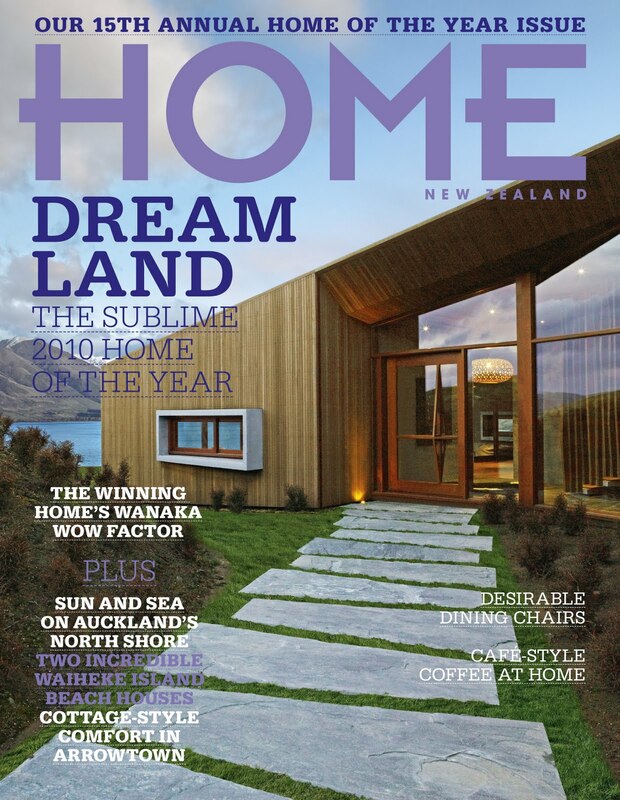 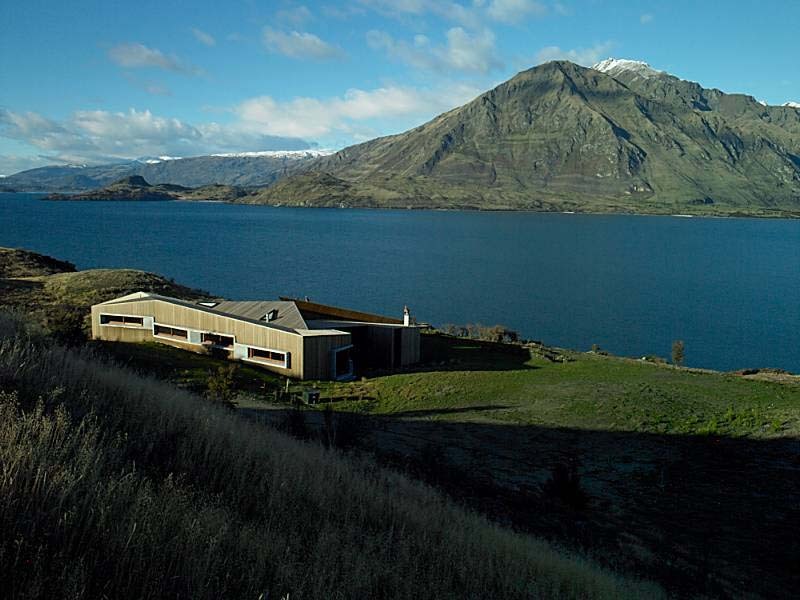 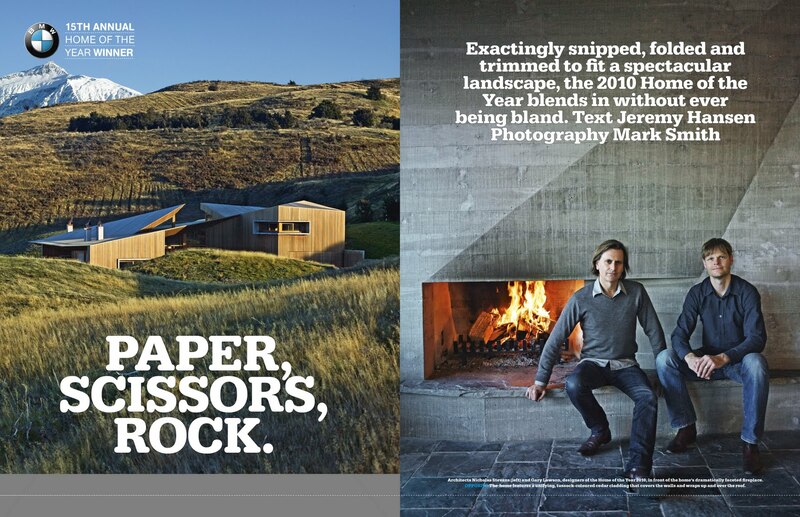 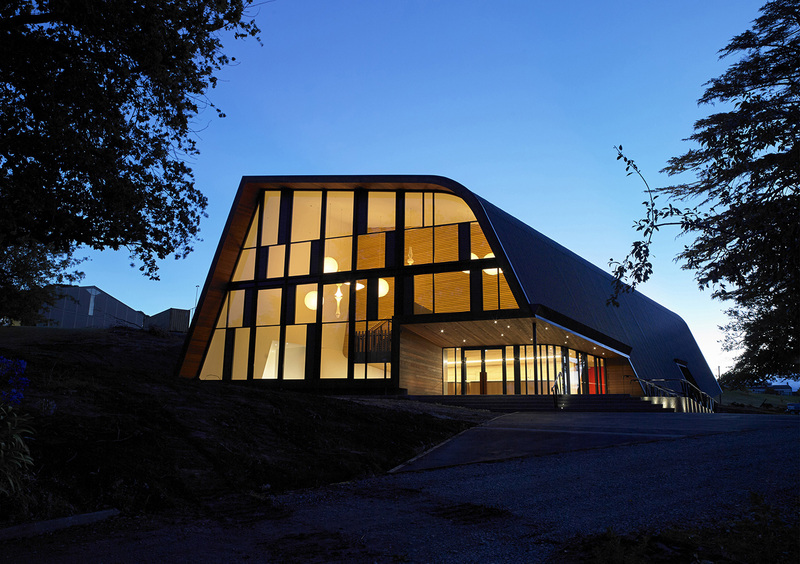 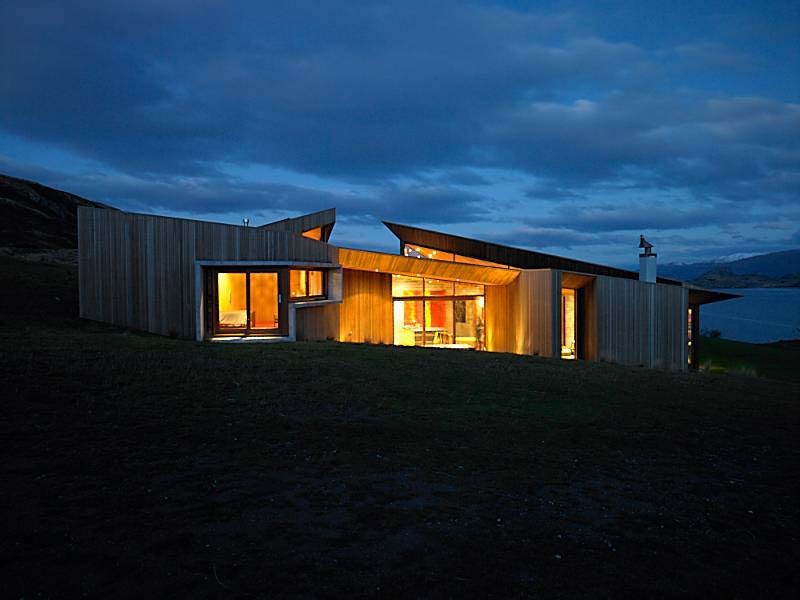 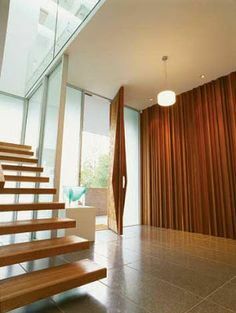 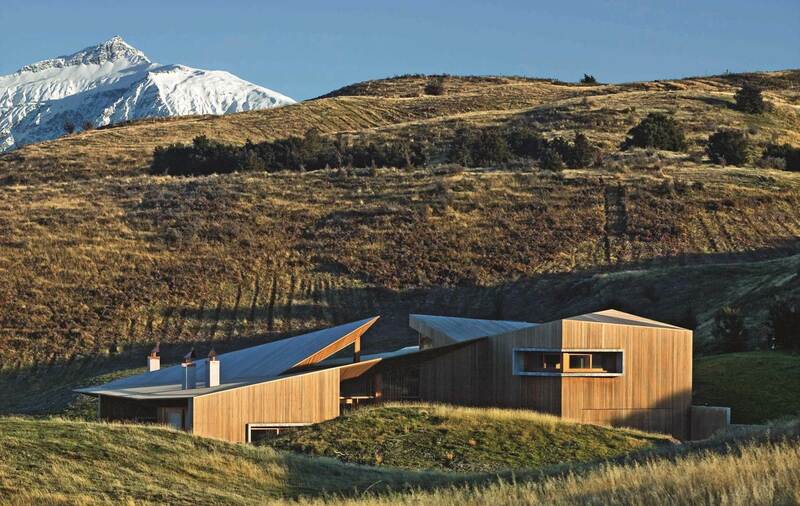 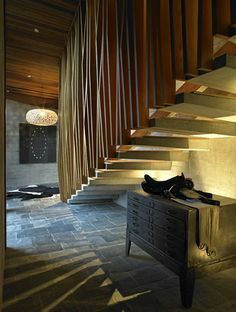 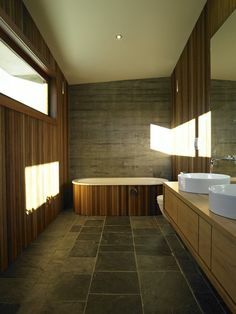 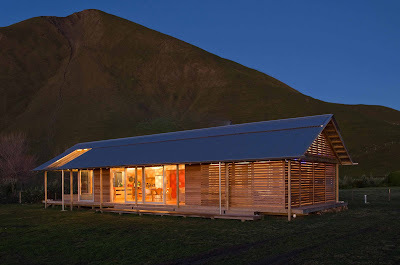 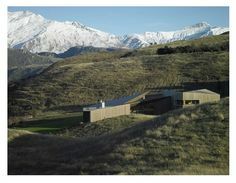 Finally, this home in Arrowtown was designed by Pete Ritchie and Bronwen Kerr of Queenstown's Kerr Ritchie Architects. 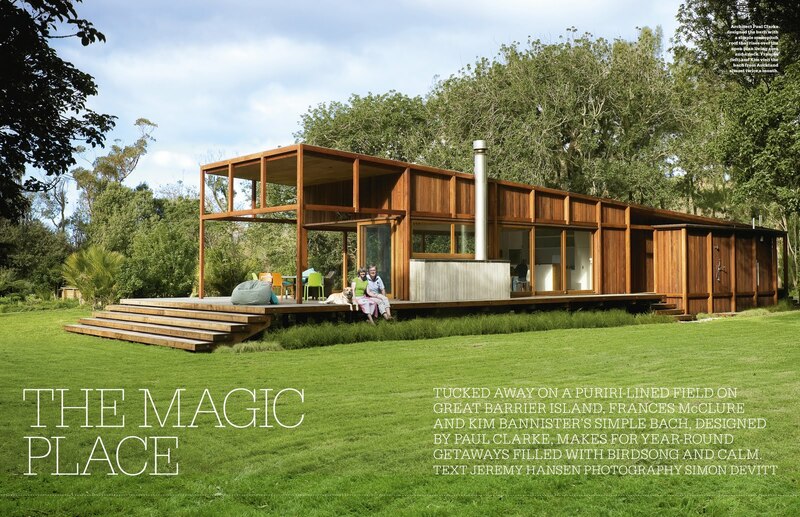 It was photographed by Paul McCredie. 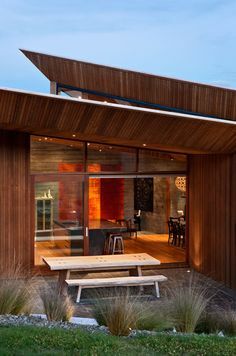 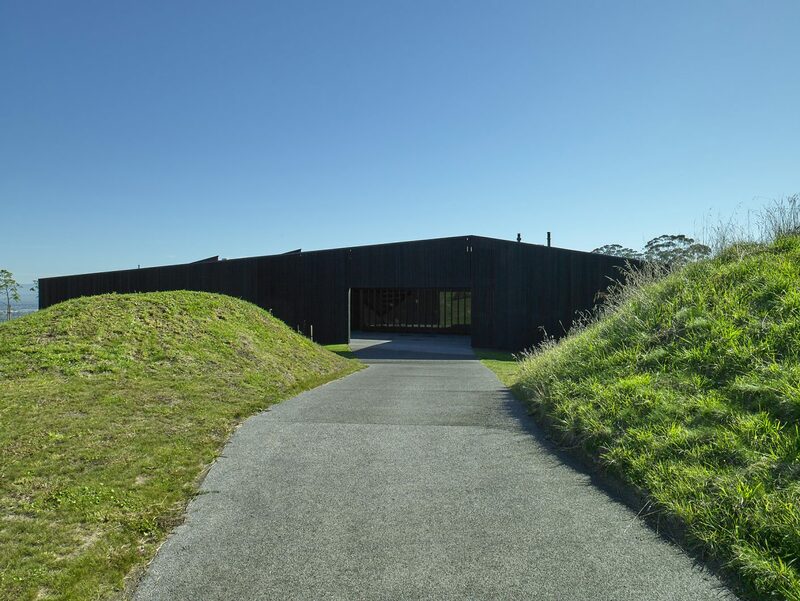 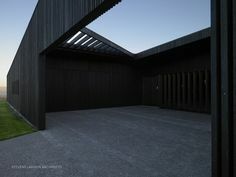 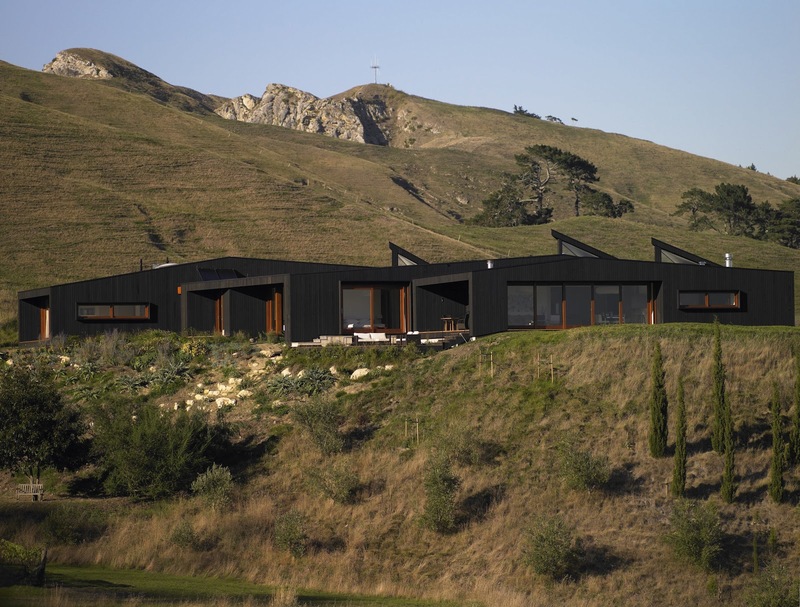 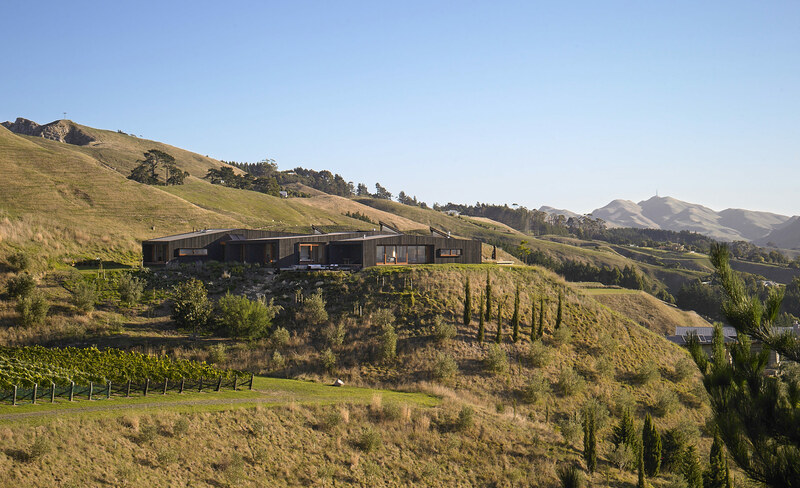 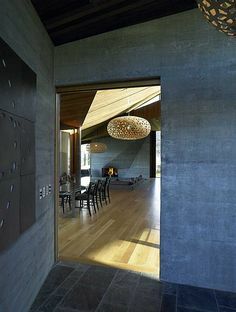 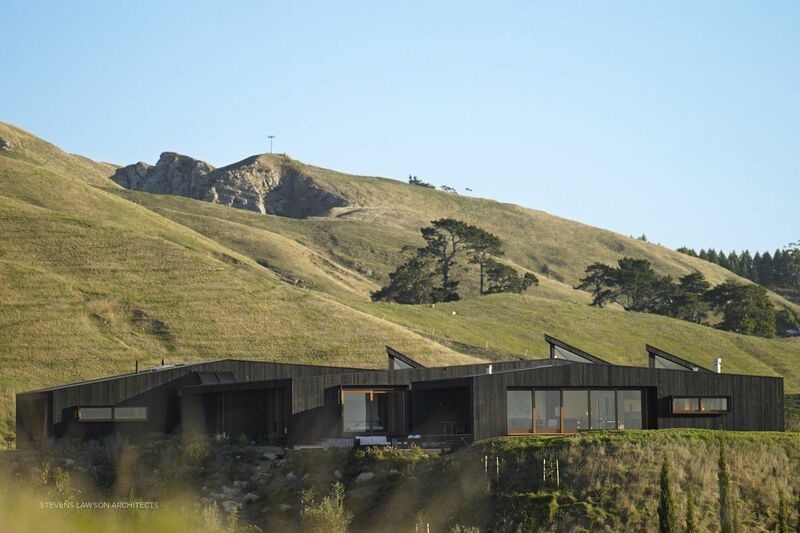 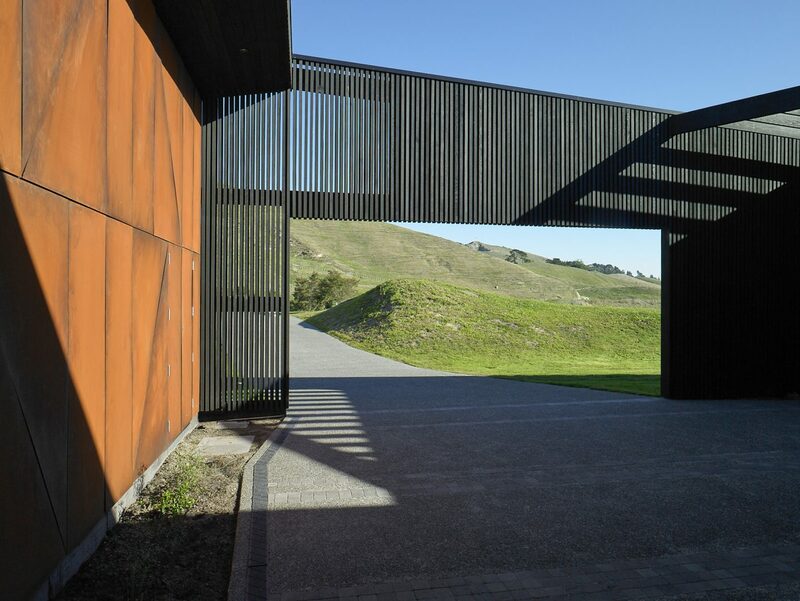 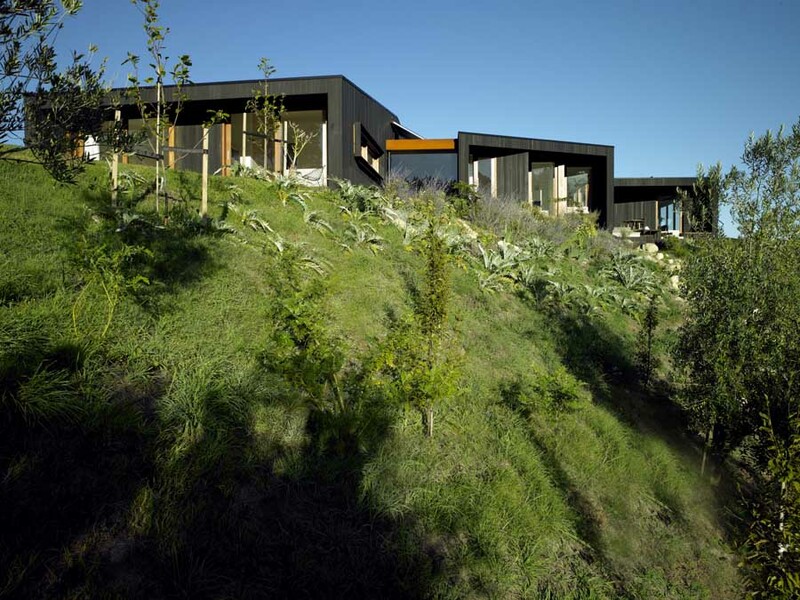 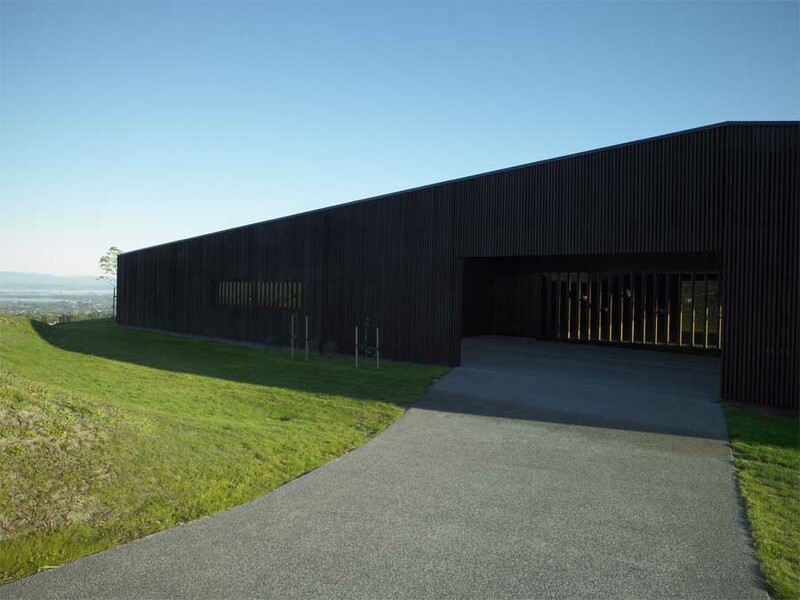 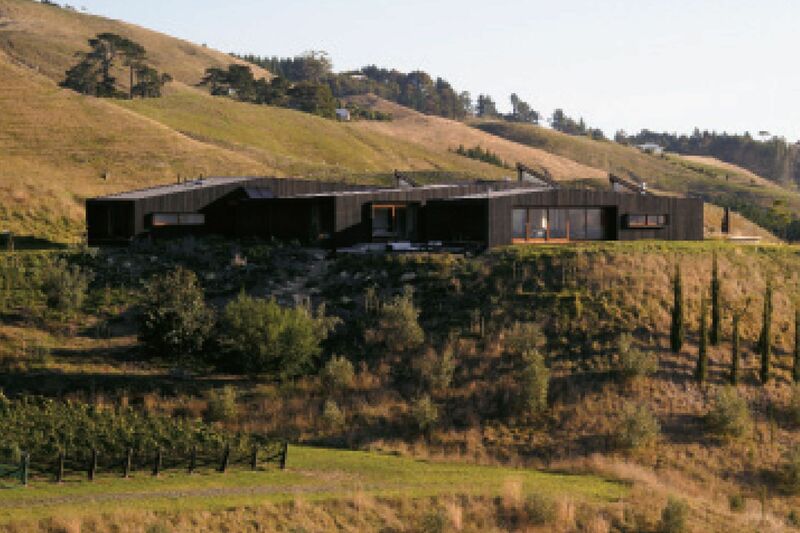 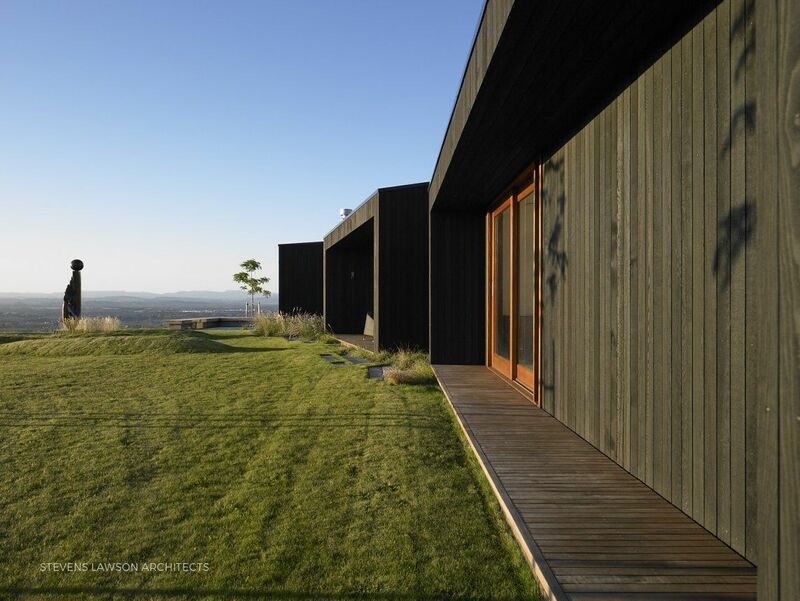 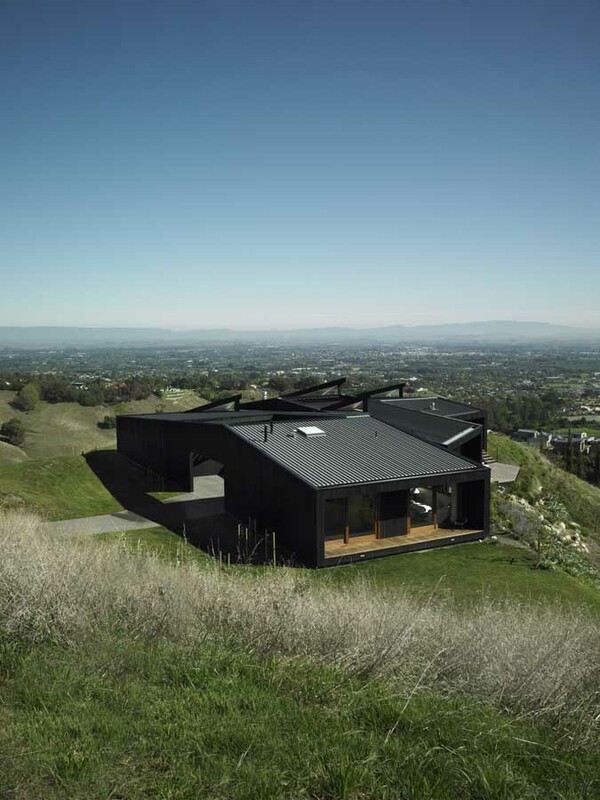 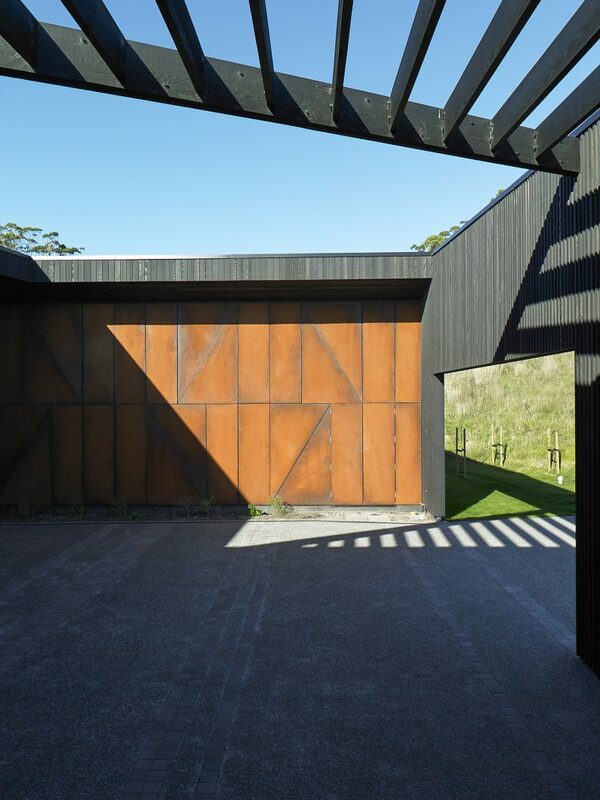 And Stevens Lawson Architects designed this long, low, mysterious home on Hawkes Bay's Te Mata Peak, which was photographed by Mark Smith. 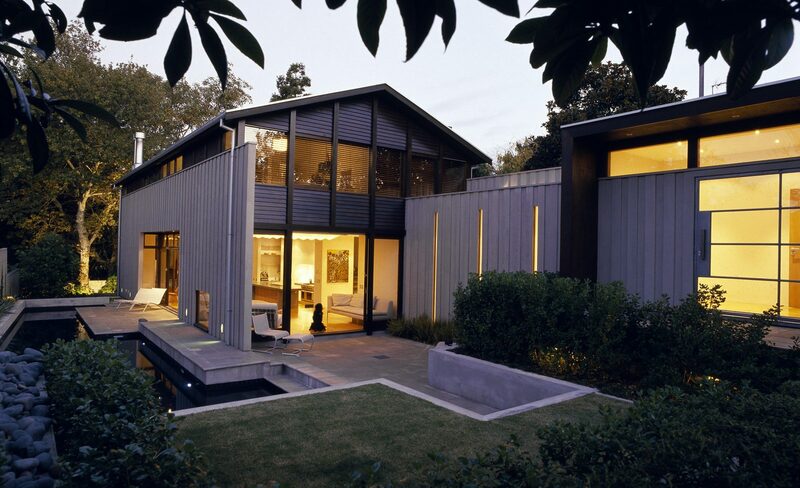 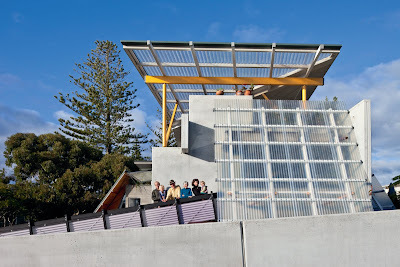 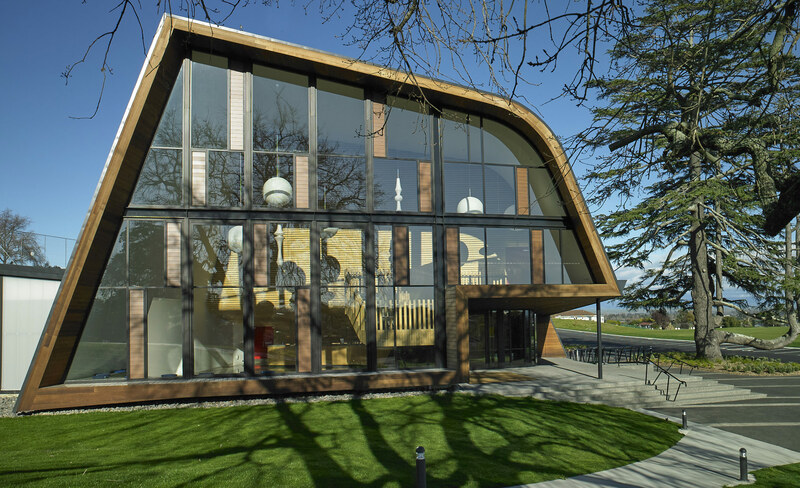 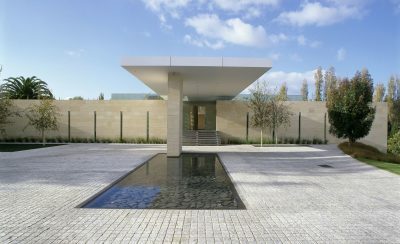 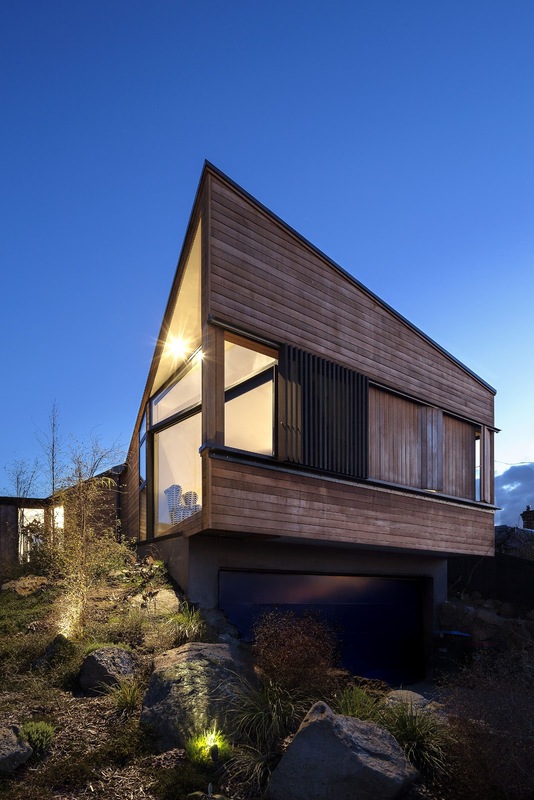 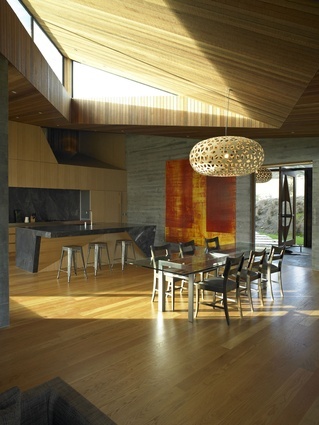 Last year's Home of the Year was the Kare Kare house, designed by Michael O'Sullivan of Bull O'Sullivan Architects. 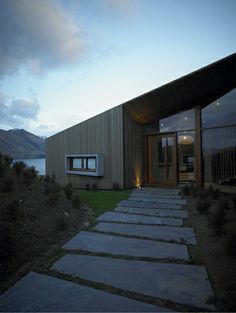 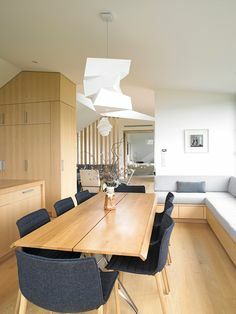 Island Retreat house by Fearon Hay Architects. 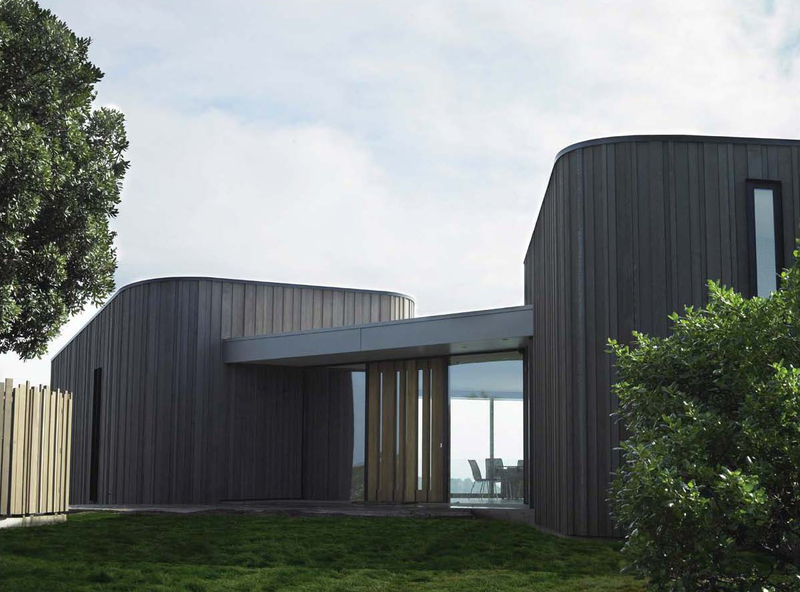 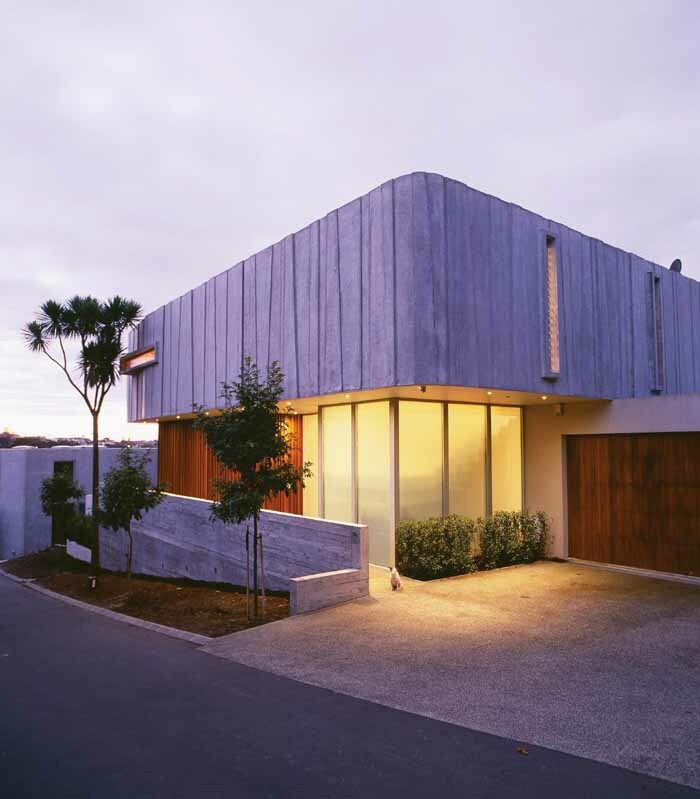 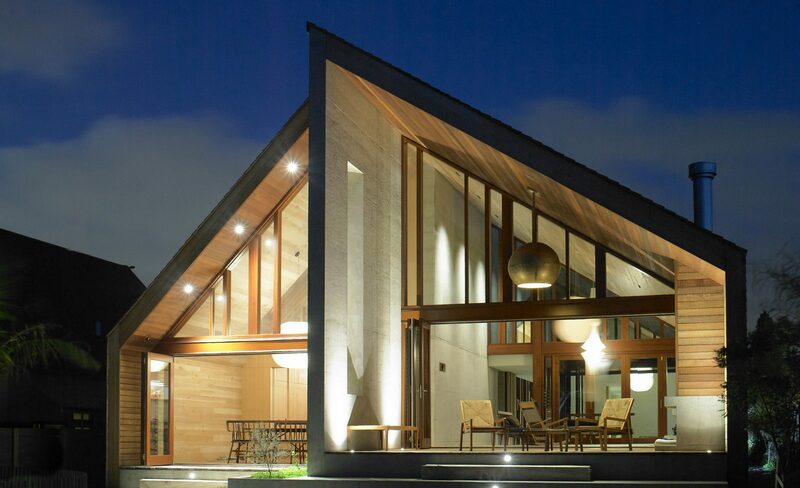 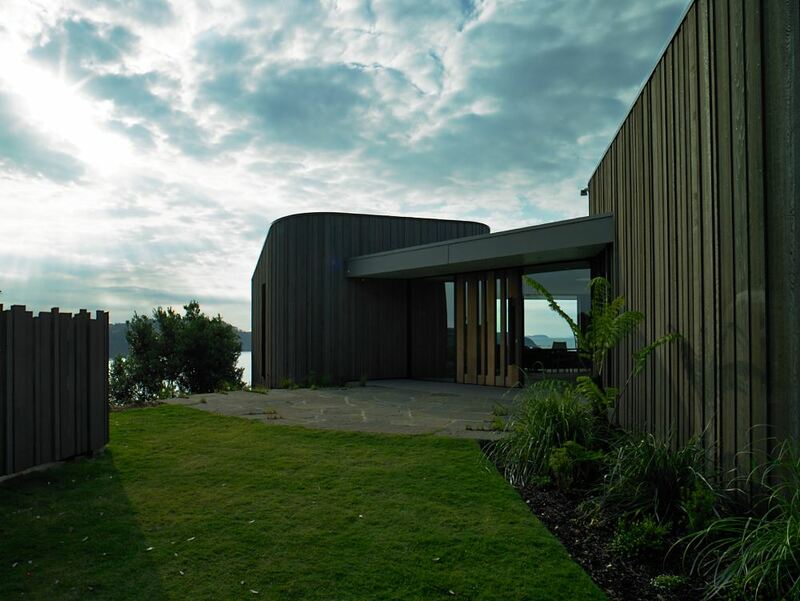 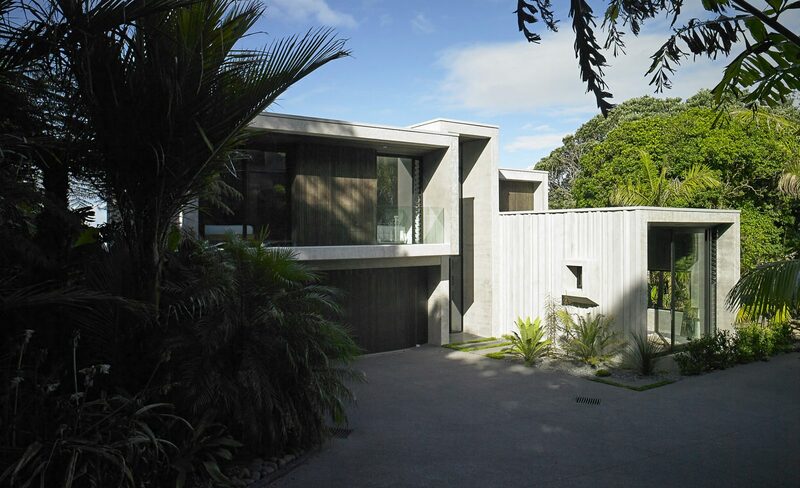 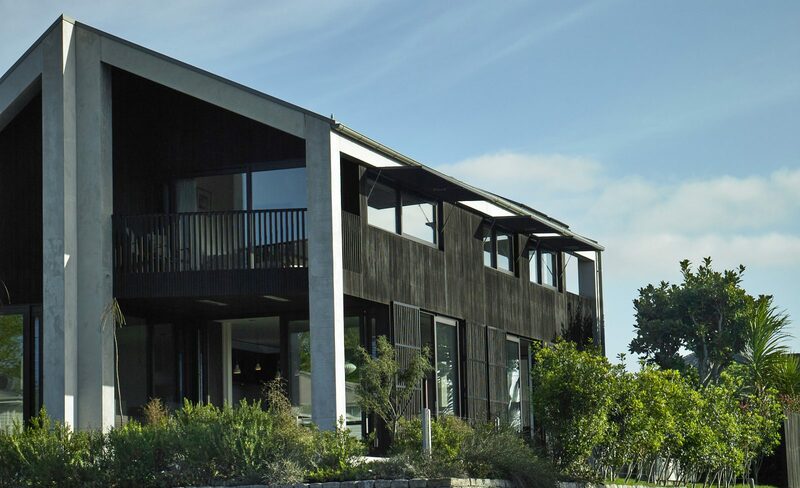 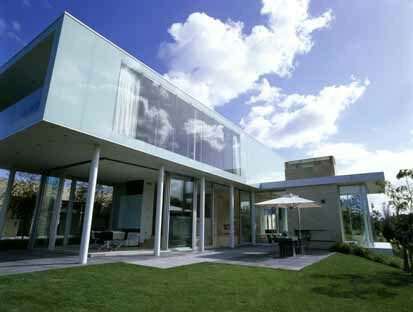 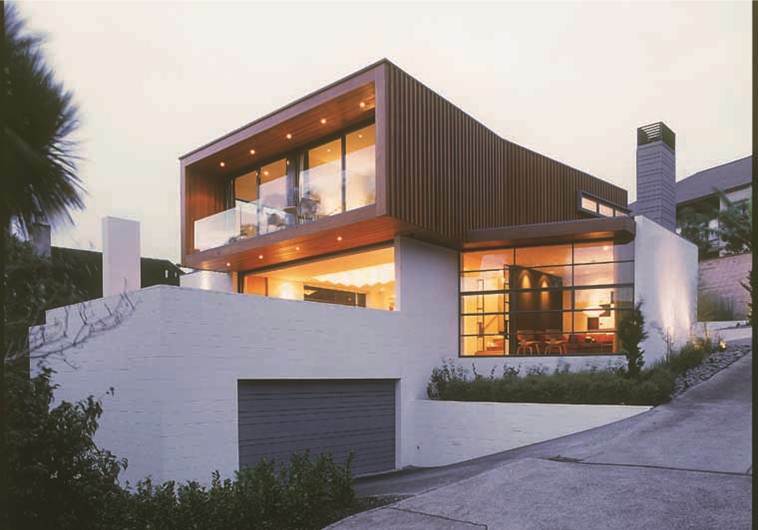 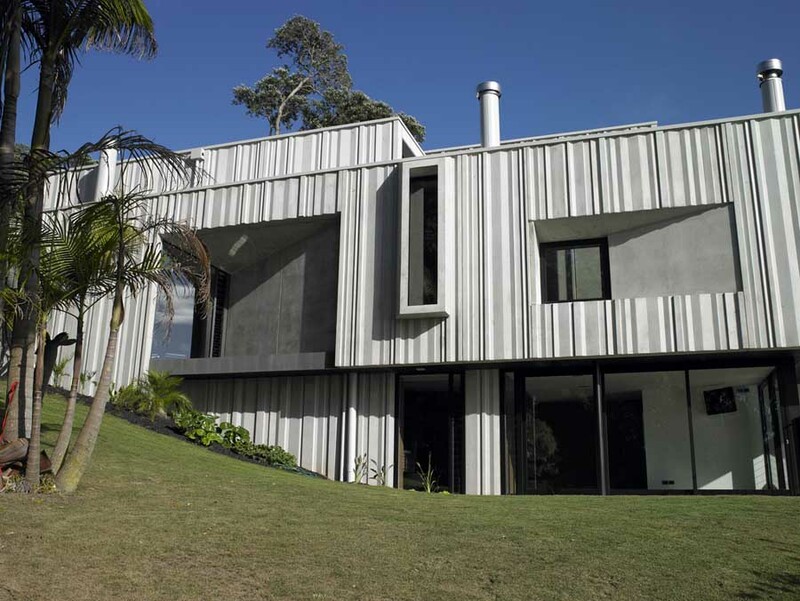 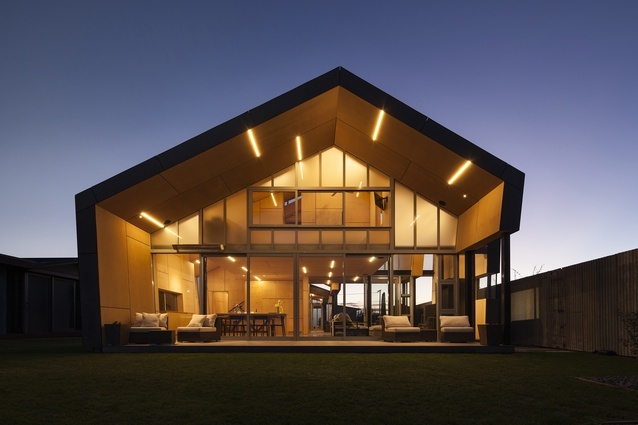 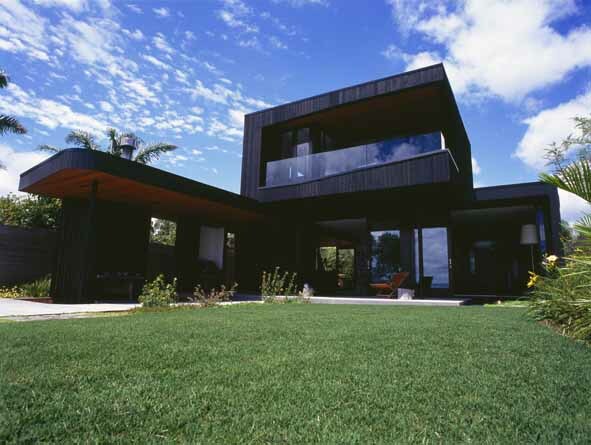 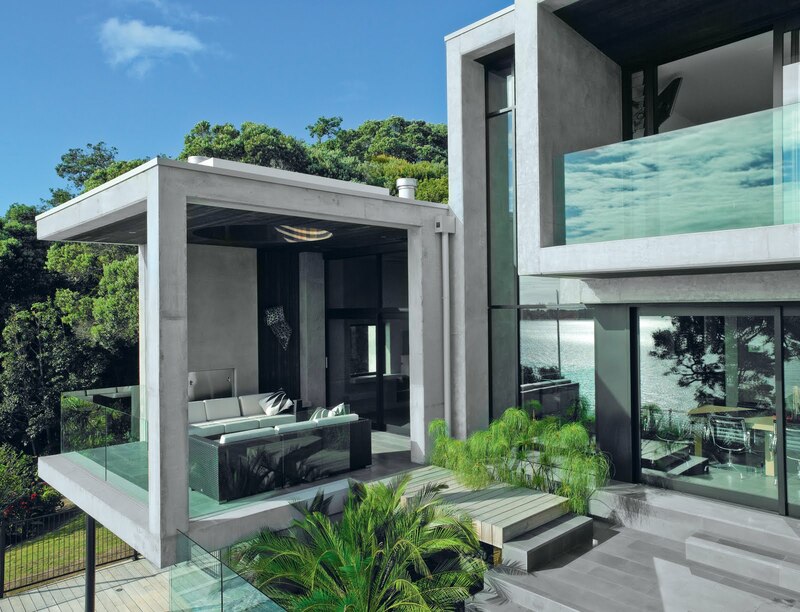 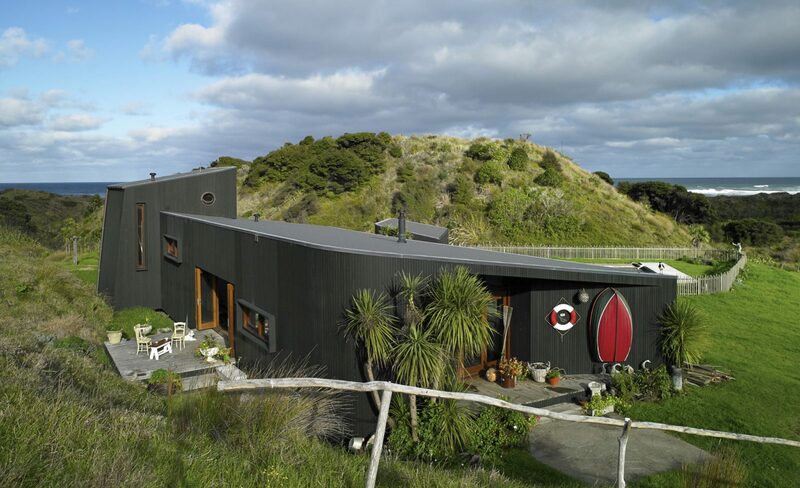 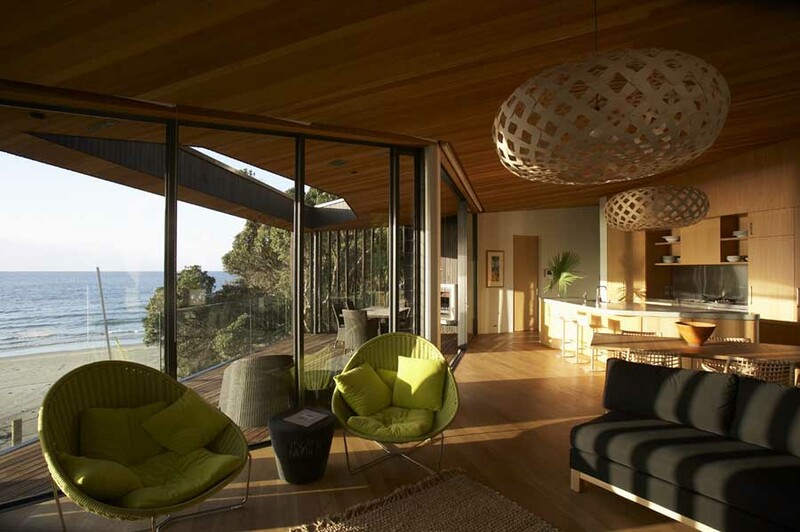 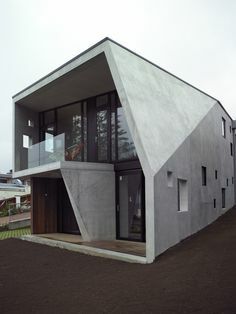 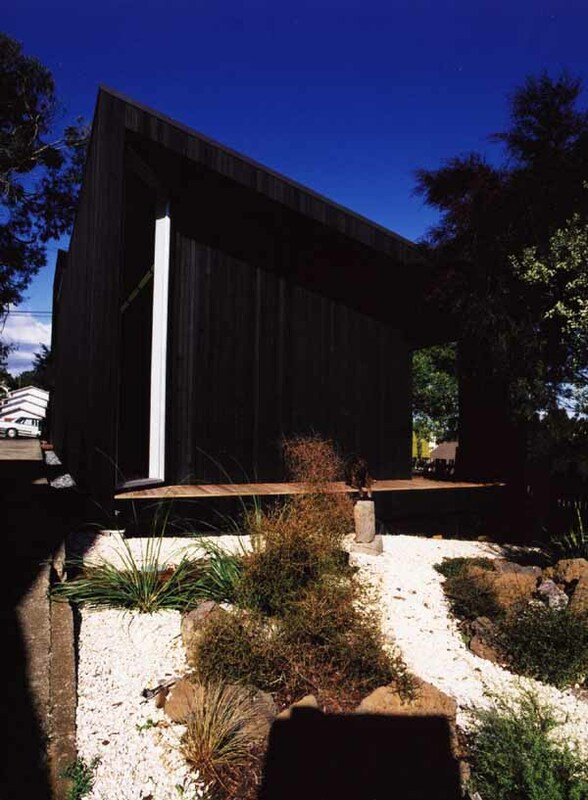 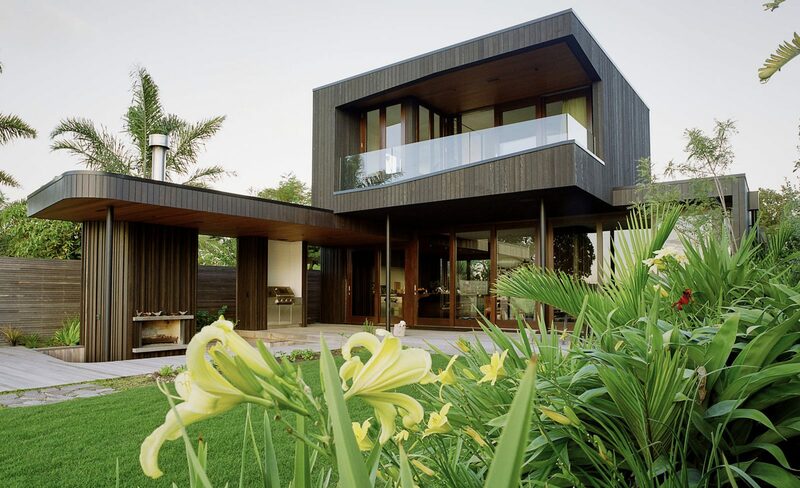 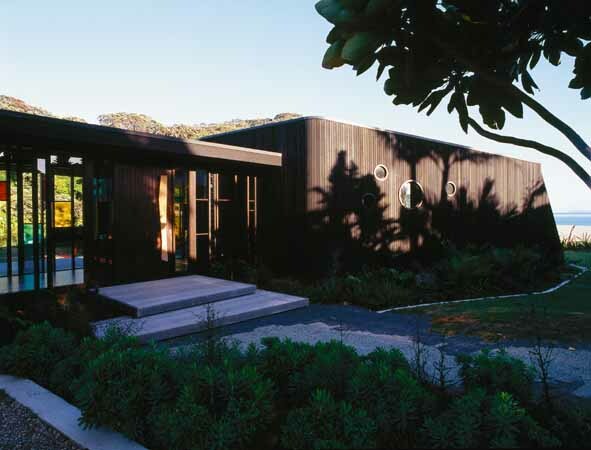 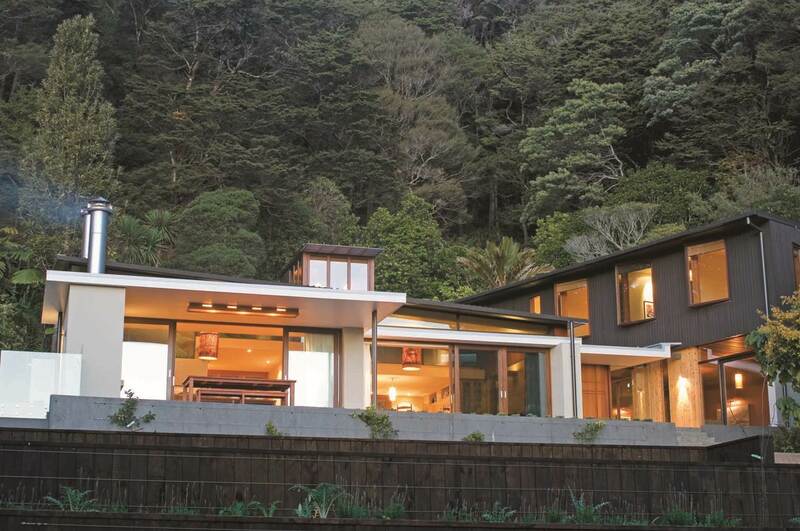 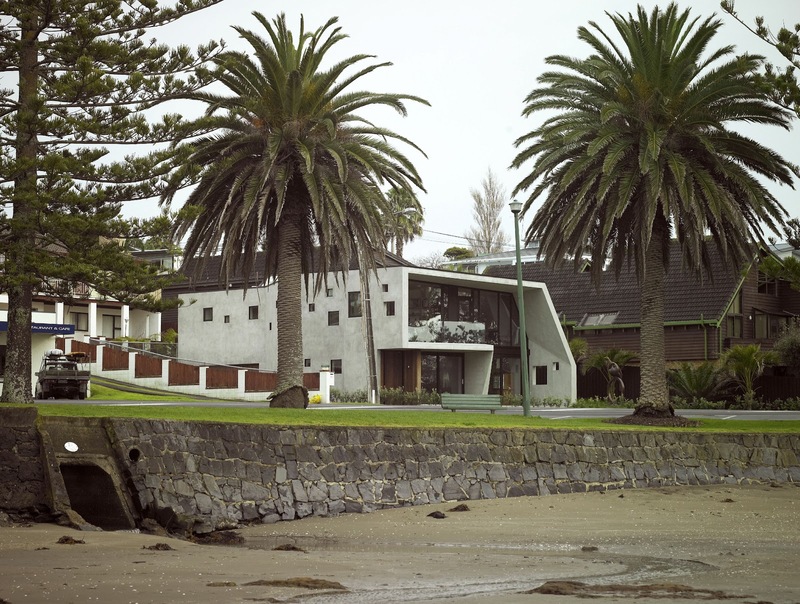 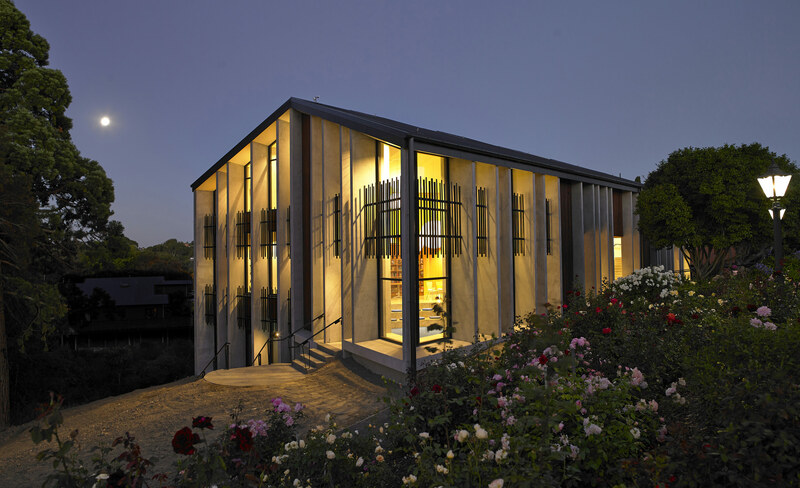 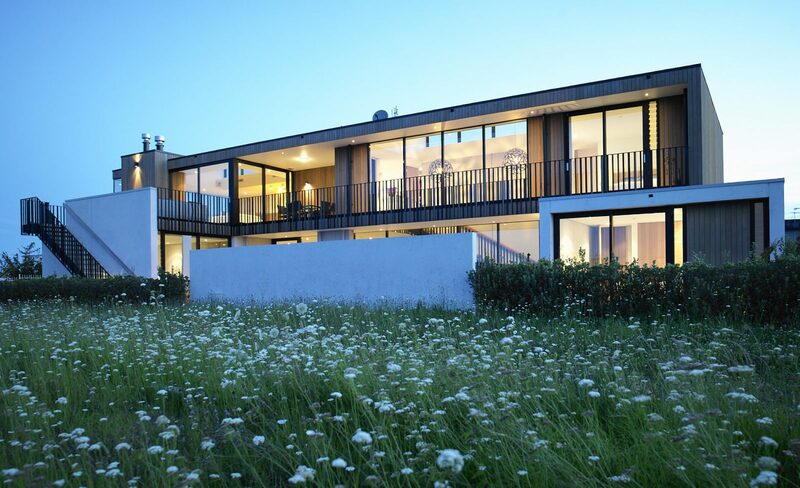 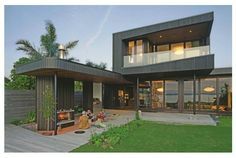 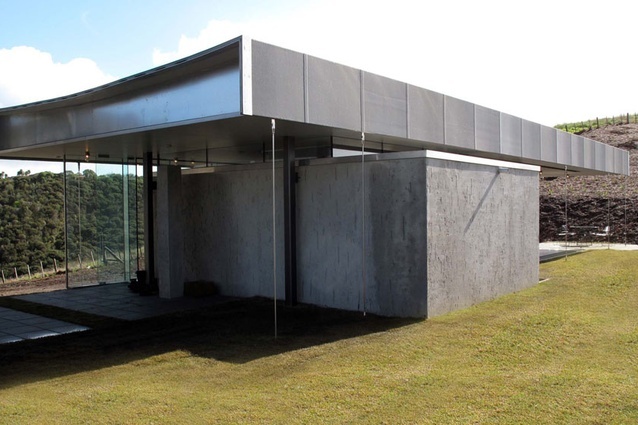 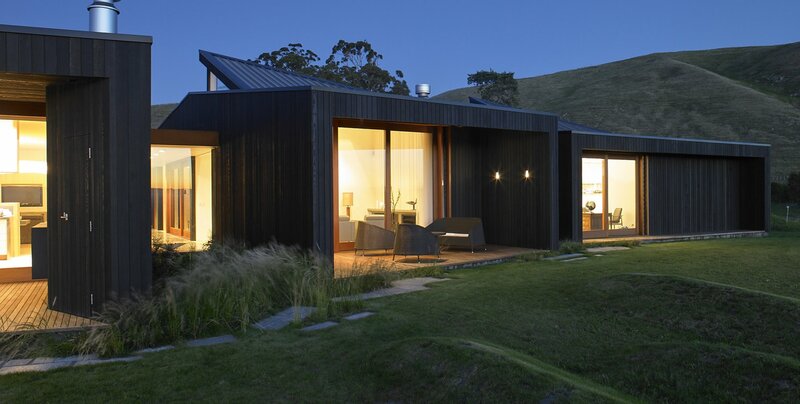 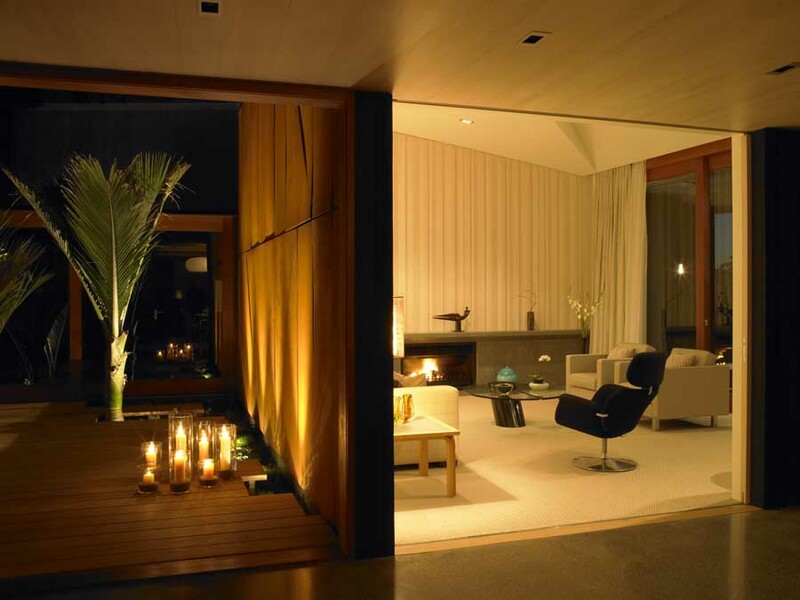 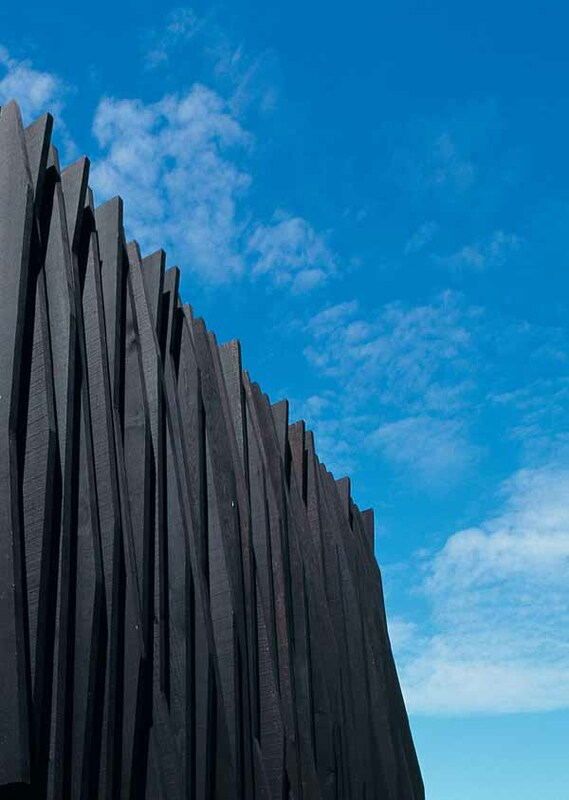 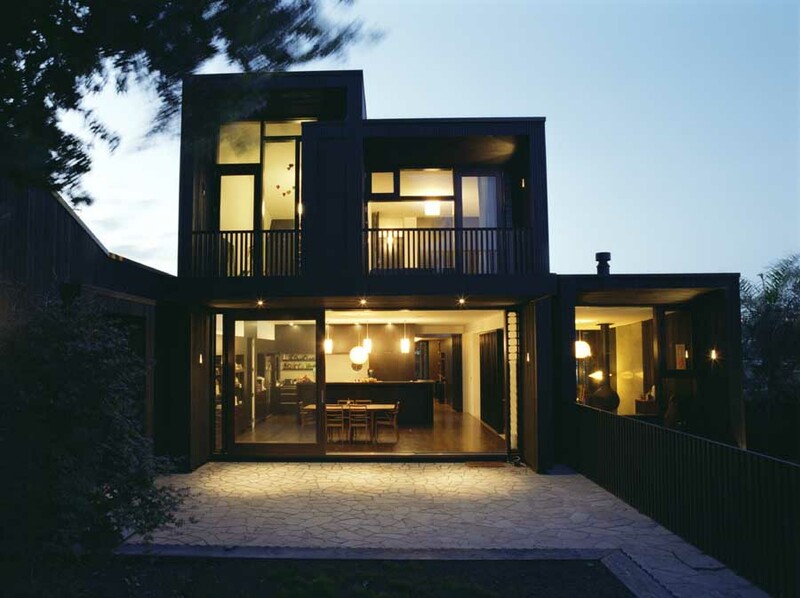 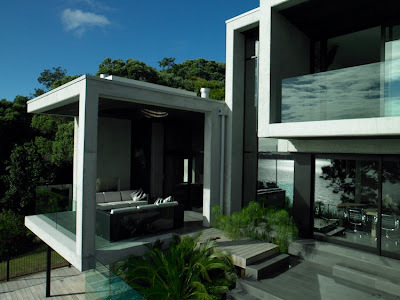 Stevens Lawson Architects picked up a housing award for this home (below) in Waiake Beach in Auckland. 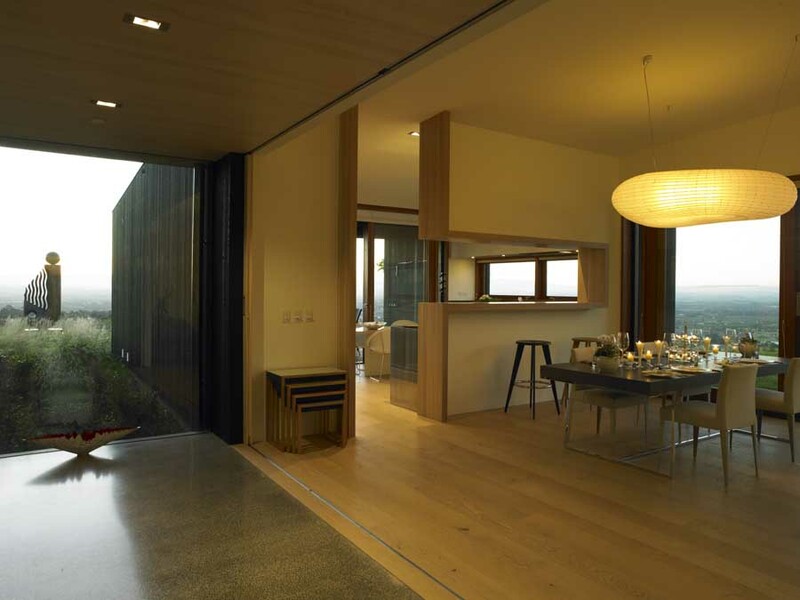 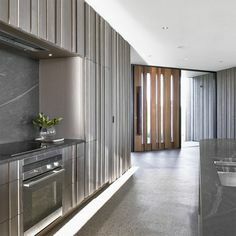 Inside the Rock House by Stevens Lawson Architects. 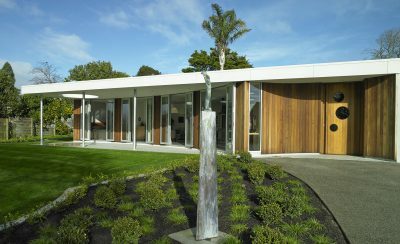 Photograph by Mark Smith. 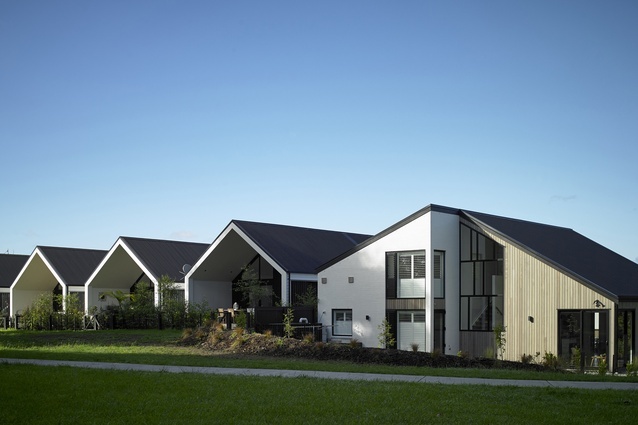 Housing Multi-Unit Award: Sunderland 6 by Stevens Lawson Architects. 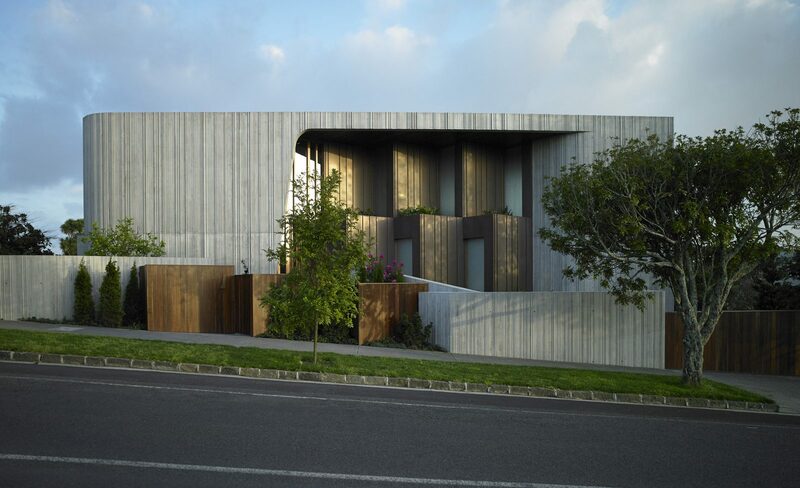 And another housing award went to the Regent Park Apartments for City Housing in Wellington (below), designed by Designgroup Stapleton Architects. 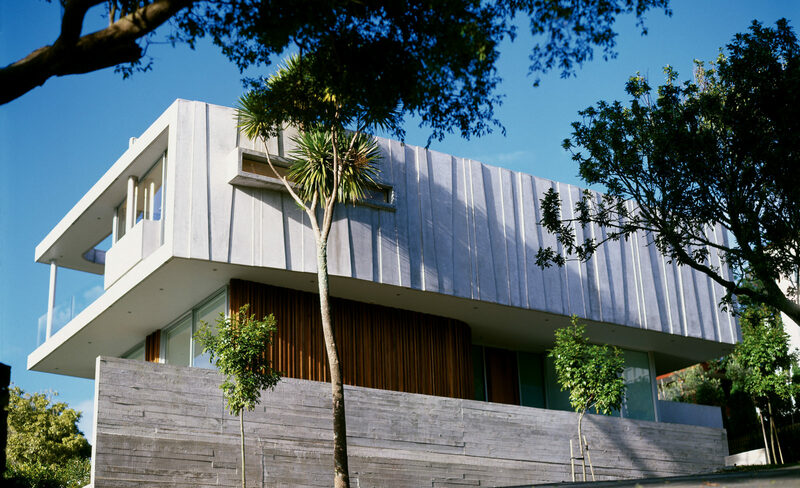 This Auckland house by Stevens Lawson Architects was our 2007 Home of the Year. 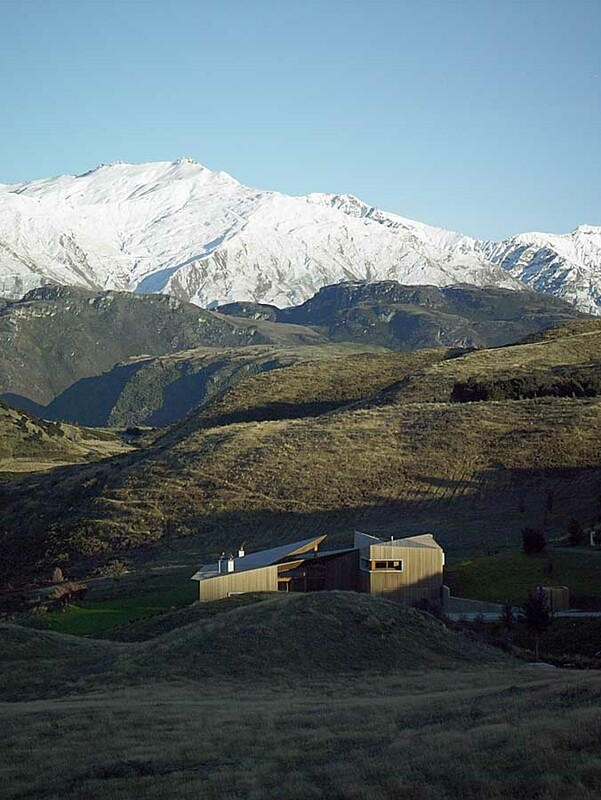 Photograph by Mark Smith.